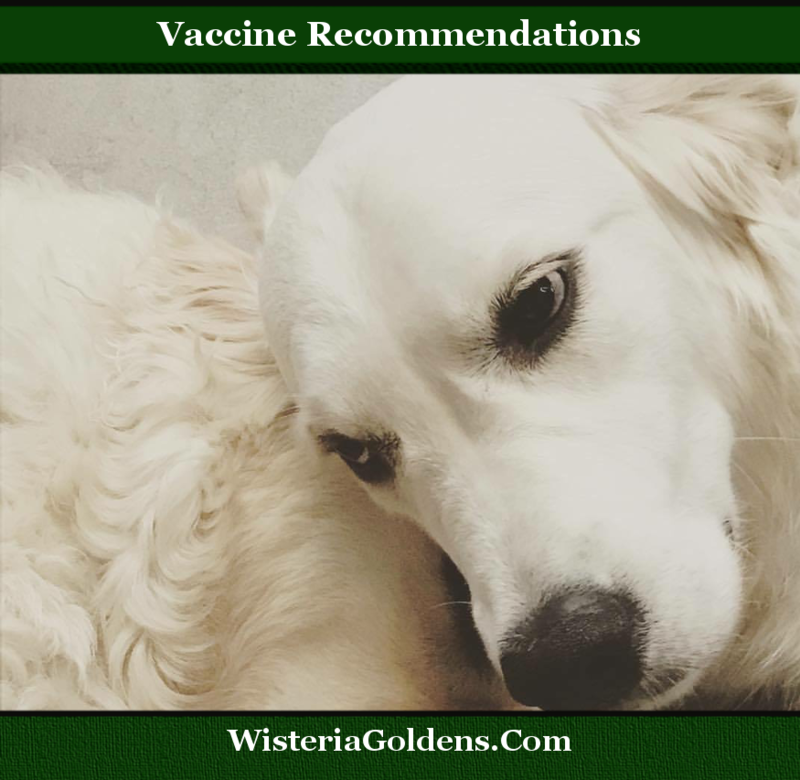 Vaccine recommendations vary from vet to vet. Some of the differences are due to the environment in which the puppy lives in, state and county laws, and what education the veterinarian received. It can be confusing as to which vaccines are actually needed, which ones are considered safe, and when to get boosters. Just like the controversy with our children and vaccines, there are the same with puppies/dogs. If you research vaccines for canines, there are many articles that state that vaccines are causing tumors at the location of where the shot was given, and other cancers are linked to the ingredients in the vaccine itself. The most important vaccines required for the most conservative holistic approach is distemper, parvovirus, and Rabies. The following three are recommended by most vets depending on lifestyle. If your puppy/dog is going to be going to Doggie Day Care, dog parks, grooming, etc. Then the Adenovirus Type 2 and Parainfluenza virus is recommended, as well as the Bordetella. These are all respiratory vaccines. Rabies is recommended even by holistic vets, but not until at least 20 weeks of age and given at least 3 to 4 weeks apart from any other vaccine. Lyme and Leptospira are vaccines that are considered depending on the area in which you live in. These vaccines are considered non-core vaccines and if they get the disease usually respond well to medication. Doing a titer test before boosters is now becoming a bit more popular. A titer test is a laboratory test measuring the existence and level of antibodies to disease in blood. Antibodies are produced when an antigen (like a virus or bacteria) provokes a response from the immune system. This response can come from natural exposure or from vaccination. If the dog has a high titer then the vaccine is not needed. Many advocates of the titer is to prevent over vaccination. It is important to educate yourself on the vaccines that are required, how often, the side effects vs. the health benefits to allow you to make an informed choice. Depending on the time of year the puppy is born, we try and wait until they are at least a year old before giving the Rabies vaccine. We live in the country and some years the skunks are bad and are known to carry Rabies, so we vaccinate earlier.